Nearly one out of eight Americans suffer from recurring headaches or migraines. To educate the public on the reality of these painful and sometimes debilitating disorders, the American Headache & Migraine Association (AHMA) observes Migraine & Headache Awareness Month every June. While this cause may seem unrelated to dentistry, the team at my Mill Creek dental office want to share just how connected the two can be. Research supports the theory that a bad bite (malocclusion) can contribute to recurring migraines. When teeth don’t align from top to bottom, your ideal bite is thrown off, causing issues to your TMJ (jaw joint). Anatomically, your head is attached to your jaw, and the two share muscles. When the muscles in your jaw become strained due to a bad bite, it can affect your head, thus leading to a migraine. Your dentist in Mill Creek may be able to help diagnose and treat this misalignment, giving you relief from migraines. Don’t continue to live your life managing your migraines without exploring a possible solution to rid yourself of the pain. 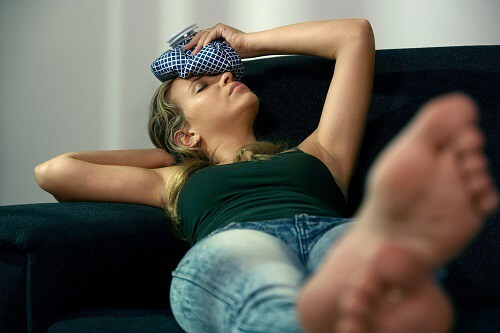 If you’re ready to see if your migraines could be caused by a bad bite, call my dental office in Mill Creek to schedule an appointment today. We’ll look at your bite, teeth wear, and other factors to recommend the best treatment for you. Don’t keep suffering, call us today.